After years of collaborating with several organizations for the benefit of children (Unicef, St. Jude Children’s Research Hospital, Children’s Hospital Los Angeles) Pau and Marc Gasol, professional NBA athletes and All-Stars, launched the Gasol Foundation in 2013. Moved by the severity of childhood obesity, both brothers wanted to utilize their platform to help find preventative solutions to this epidemic. And ever since 2013, Pau and Marc have done just that. 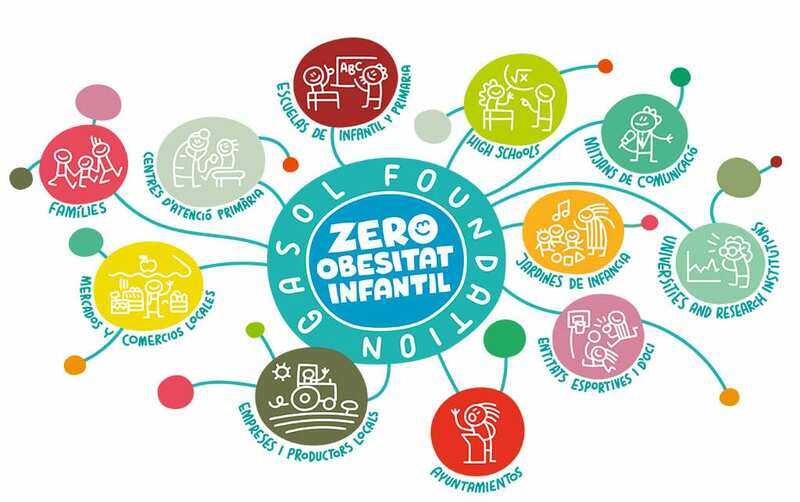 Today, Gasol Foundation focuses all of its efforts and resources on achieving a clear objective: Zero Childhood Obesity. The foundation is working under the premise that the best treatment for childhood obesity is prevention- which is why the Gasol Foundation follows three strategic guidelines: education, research and intervention. The Gasol Foundation works to reduce Childhood Obesity through the promotion of sports and physical activity, healthy eating, sleep quality and duration, and emotional wellbeing of children, young people, and their families. We focus all of our efforts on children and childhood obesity because we believe in a world where all children have the right to enter adulthood physically and mentally prepared to lead a healthy life full of opportunities. We believe that a multisectoral, transversal and coordinated approach is indispensable. The involvement, work, and commitment of all members of society are crucial to prevent Childhood Obesity. Prevention first starts at home with the family. Under one of our mottos, Lead By Example, all of our initiatives, activities and programs in Spain and the United States involve fathers, mothers, and siblings to empower a change towards a healthy life. Prevention also requires coordinated efforts from governments, industry, health professionals, ICTs (information and communication technologies), television, internet, non-governmental organizations, schools, workplaces, and the community. Each and every one of these agents mentioned plays an important role in prevention. No single intervention alone can stop the growing epidemic of childhood obesity. We, at Gasol Foundation, strongly feel that the complexity of this problem requires an integral and participatory approach, where all agents of society have a direct impact on positively influencing and educating today’s youth. This is why Gasol Foundation works in coordination with various agents and entities from different territories so that effective and impactful interventions can be planned out and implemented -without forgetting the key role family plays in the adoption of habits by children.